It had been at least five years since I last stepped foot in Lang Van, the Vietnamese restaurant on Shamrock Drive near the Charlotte Museum of History. I'd loved the restaurant's food and service when I first arrived here in the early 2000s, having initially checked it out on a tip from former Levine Museum historian Tom Hanchett. I'd been meaning to get back there more recently, but just never seemed to make time for it. After returning to the city following a few years away, I initially lived in east Charlotte and would drive by the little nondescript box-shaped building almost every day on my way home. Lang Van beckoned: Come back. Then last week, I drove by and saw a little plastic Santa standing in front of the building. I could have sworn he was waving me down. We needed a food feature for this week's Creative Loafing, and I'd always been curious about the history of this restaurant that's been a Charlotte staple for so many years, somehow managing to survive all the new development and the proliferation of other Vietnamese hotspots to become the longest-lasting Vietnamese restaurant in the city. I walked in and was immediately embraced by owner Dan Nguyen. "Hello," she exclaimed, excitedly. "Where you been?" Surely, Nguyen was just being a good host. She couldn't possibly have remembered me after so many years. She continued: "You celebrate birthday here. Long time ago. Too long." It was true. I had celebrated a birthday at Lang Van eight years ago this April. I'd been to the restaurant many times before then and afterwards. But not since 2013 at the very latest. My hair is shorter and grayer. And yet Nguyen remembered. She is known for her preternatural memory. 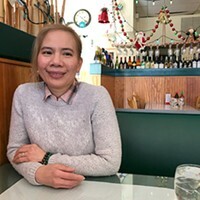 "Nguyen has a remarkable capacity for remembering regulars' favorite dishes," a fellow local journalist, Greg Lacour, wrote a couple of years ago on the Charlotte East blog. "She has a knack for remembering what her customers order, and her smile is an essential part of the dining experience," former CL writer Keia Mastrianni concurred in a piece she wrote for Charlotte Magazine. Both of those writers penned small profiles on Nguyen, but I wanted to know a little more about this woman who not only remembers her customers' favorite dishes and embraces them when they walk in the door, but also expects the same of her staff and insists on serving only the freshest vegetables and highest-quality ingredients at Lang Van. Look on Yelp. Almost every review is four or five stars and includes some variation on "great food," "amazing service," "scary neighborhood." The "scary neighborhood" comments presumably come from folks who don't often get out of the suburbs, but the fact that even those people are willing to "brave" the "scary" 'hood shows how well-loved Lang Van is. "There is awesome Vietnamese food in southern California," a southern Californian wrote on Yelp, lamenting the scarcity of Vietnamese offerings in the Southeast, but added, "Lang Van, however, is easily on par with the best Vietnamese food I've had anywhere." Quite an endorsement, coming from a West Coaster. We endorse Lang Van, too, and encourage you to check out not just the restaurant, but the story behind the uncanny memory and uncommon warmth of its owner. You'll find it here. In other news about small dives in remote areas of the city, CL writer Pat Moran spent an evening at Smokey Joe's Cafe, the decidedly unhip music joint on Briar Creek Road near Bojangles Coliseum. You won't find a perfectly curated roster of experimental indie rock or hip-hop on tap at Smokey Joe's — more likely, you'll find a grey-bearded classic rock act trotting out a Prince cover, a blues-rock band ripping into Stevie Ray Vaughan's "Texas Flood," or the occasional veteran celebrity musician stopping in for a surprise cameo. 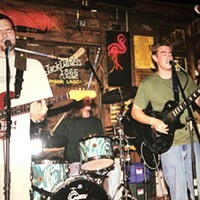 In the case of the club's weekly Tuesday night Open Jam with the Smokin' Js, you'll see anonymous singers, guitarists and other instrumentalists hop onstage with the house band to test their talents (or lack thereof) on forgiving audiences. In a Charlotte that just last year lost the Double Door Inn, its most famous old-school music dive, Smokey Joe's is the next-best thing. Pat decided to check out the old music venue on its Open Jam night, where he saw a local guitarist do Stevie Ray proud. 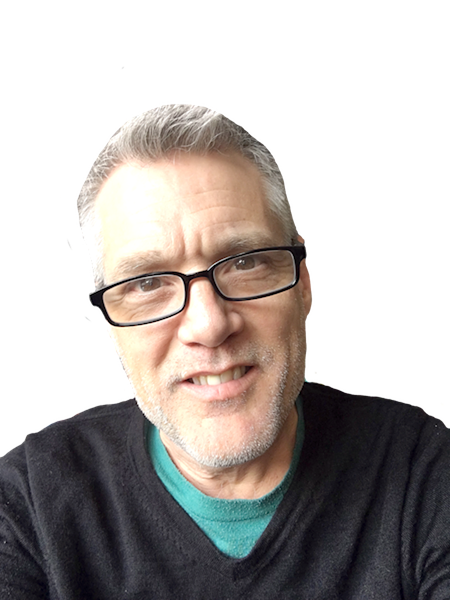 He also talked with Sean Knight, who books the music; members of the Smokin' J's, who back the Open Jam participants, and one-time Open Jam host Josh Daniel, who's better known these days for his work with the New Familiars. Daniel began hosting the Jam before he was even legally allowed to be in a bar, he tells Pat in this week's music feature. "I wound up doing it for eight years," Daniel says. "When I look back on it — I play about 150 gigs a year now, but I still think I've played more at Smokey Joe's than anywhere else." This week's Creative Loafing is about getting off the main roads and out of the hip neighborhoods, to find those little out-of-the-way places where folks don't so much seek to be seen, as to see.